Done correctly, content marketing can be great for your business, although it still remains a mystery to some. There is useful advice out there, but it’s easy to forget that the true magic of content marketing is about connecting with your audience. Here we debunk 5 content marketing myths to hone your mindset around your content marketing efforts. Length of content matters, but not as much as you think. If it’s a written blog post then you ideally need a variety of lengths for engagement and search engine optimisation (SEO). 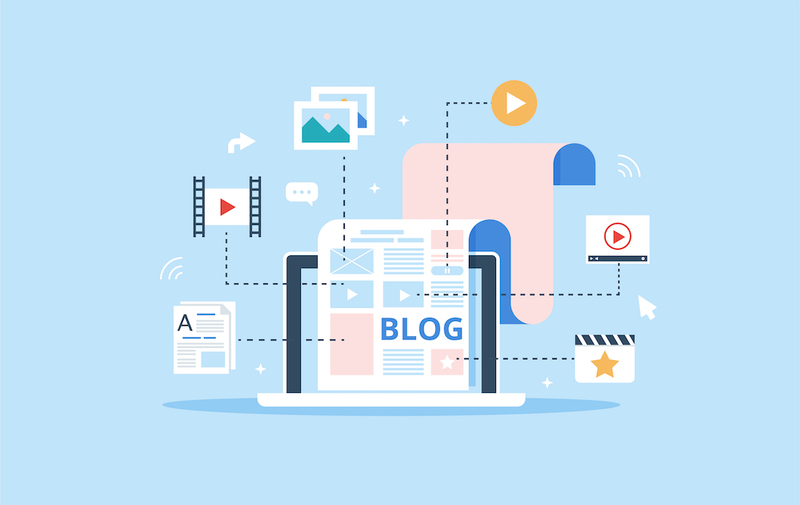 Not every blog post has to be long, but what’s most important is that the content is written naturally, with your target customer in mind and not artificially stuffed full of keywords. When it comes to video, it depends what your video is about. If it is purely a promotional video, a demo, or a product explainer, then ideally keep the video on the shorter side, try to get your message across as succinctly (and memorably) as you can. If it’s a helpful ‘how-to’ style video, then it can be longer. Think about your audience, what would be useful to them? How long would you watch a video for that you found really interesting? Also, another feature of content marketing is crafting content that raises awareness of your brand and what you do, so think about creating content in formats that are highly shareable e.g. infographics, cartoons, maps etc. Here, you need to have a deep understanding of the habits of your ideal customer and the audience you are targeting. What does their day look like? Are they office based or field based? When would they have time to consume your content? For instance, if you are a company who is targeting teaching professionals, then you may want to have a think about the constraints placed upon teachers during their working day, lessons, marking etc. With this audience it may be best to share your content in the evenings or at weekends. Whoever your target is, research and understand their roles and don’t be afraid to try a few different days and times to see what garners the best engagement rates. If you’re a prolific YouTuber and post regular videos, don’t forget to ask people to subscribe to your channel, that way they will be notified when you post new content. To get your audience hungry for your content will take much more than just regularly posting; the topic and the value you add to them is most important, so think quality not quantity. The key is consistent, quality content so ensure that if you plan to post frequently, it is a schedule that you can keep up with considering the resources that you have available. One handy tip is to create a content calendar that works for you so that you have a plan and know what you are covering next. Also, you can pick themes and build on them from instalment to instalment to tell a story / complete a picture. This content calendar doesn’t have to be for the full year ahead, do what works for you and schedule the time to plan at least 1 month ahead. Another tip is to work a week or two ahead of yourself, this way you should never miss a publication deadline. Don’t publish content every day for the sake of creating content, only publish what will add value to your audience. I’m going to say it: not all content marketing will directly increase sales. What it will certainly do though, is position you as a thought leader, and carefully crafted content is likely to increase sales over a period of time as it satisfies the ‘know’, ‘like’ and ‘trust’ principles of marketing. By including a call to action and a strong, clear title you increase the likelihood of readers engaging and clicking through to your landing page of choice, whether that be a blog, vlog, website, online shop or social channel. Don’t just create content for creating content’s sake – aim to pick useful, helpful, engaging topics that cut through the noise. Also, think carefully about the title you choose, avoid clickbait titles but instead choose a title that helps your audience, by solving a problem or answering a question. We’ve talked about sales as a marker of a successful content strategy, but it depends on what ‘success’ looks like to you. Sales isn’t always the barometer – sometimes it may be how many people have subscribed to your channel, how many email sign-ups you’ve had etc. Think about your overall wider marketing strategy, what are you trying to achieve? Are you trying to show yourself as a thought leader, increase your reach or raise levels of brand awareness? What KPIs should you be measuring? Content marketing should be a part of a wider marketing strategy that supports other areas of the plan – for example social media – not a strategy on its own. Today, people’s attention spans are short, people are busy and used to consuming vast amounts of information every day, so the way you create content must be as engaging as possible. If you have the resource to create more than just written blog posts you should think like a publisher, create once, publish everywhere (or ‘COPE’ for short). What’s the optimal way of presenting the content you have in mind to tour target customer to ensure engagement? Just because you’ve written a blog post, doesn’t mean that you can’t also record it and turn it into a podcast or a vlog too. Thinking in ‘COPE’ terms can also help maximise the value of your content by delivering it to your audience across multiple channels, and by creating the same content in various formats you can satisfy all learning styles. For instance, to retain information some people prefer to read, some prefer to listen, and some prefer to watch. Outside of that, it’s about what’s most convenient to your audience at the point of consumption e.g. they may listen to podcast content while walking the dog or while they are on their daily commute. If you would like help or advice relating to your content marketing, then why not give us a call on 02392 591467. We’d be happy to chat through the various ways we could help you and your business.